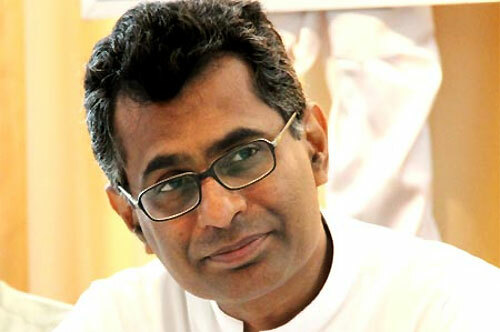 The government decided yesterday to give a pay hike of 25 percent to the employees of the Ceylon Electricity Board (CEB), the Ceylon Petroleum Corporation (CPC) and the National Water Supply and Drainage Board (NWSDB), said Power and Energy Minister Patali Champika Ranawaka. At the last Cabinet meeting however, the government had announced a pay hike of 18 percent plus a monthly allowance of Rs.2500. Several trade unions attached to these institutions had rejected the salary increase and the special allowance, as insufficient. Mr. Ranawaka told Daily Mirror yesterday that President Mahinda Rajapaksa had held talks with the relevant stakeholders at Temple Trees last evening and decided on this amount. “The CEB alone needs an additional sum of Rs.155 million a month to implement the new salary increase,” said Mr. Ranawaka. He said Sports Minister Mahindananda Aluthgamage had interacted with the SLFP-affiliated trade unions attached to these institutions. “Besides this, my deputy Premalal Gunasekara held talks with the CEB trade unions,” he said. It had also been agreed at the meeting to sign collective agreements with the unions, effective June 30, 2012, on the new salary increase. Labour Minister Gamini Lokuge and Petroleum Minister Susil Premajayantha had also attended the meeting.